Plastic Surgery | Robert V Mandraccia, M.D. As we age and our bodies change, our inner beauty remains intact. At the plastic surgery Fort Myers office of Dr. Robert V. Mandraccia, we make it our goal to help you look as beautiful on the outside as you feel on the inside, no matter what your age. At our Fort Myers office, we have a huge range of plastic surgery procedures to help you achieve the results you want to see. Whether you have distinct aesthetic goals to improve your appearance, or you simply want to minimize the effects of aging to preserve your natural beauty, we will help you find the treatment perfect for you. Dr. Mandraccia can also perform surgical hair restoration to ensure you are able to achieve the full plastic transformation you need to feel confident with your appearance. Which Plastic Surgery Procedure Is Right for Me? The best way to figure out which plastic surgery treatment or procedure is right for you is to schedule a personal consultation with Dr. Mandraccia himself. During your visit, Dr. Mandraccia can assess your needs and goals, as well as answer all of your plastic surgery questions. Basing his decision on your personal preferences and his evaluation, he will determine which procedure or combination will help you achieve the optimal results you wish to see. Sometimes patients find the procedure they want is not always what they need, or are ready for, but after speaking with Dr. Mandraccia at your consultation you will have more than enough information to decide between about your options. To learn more about plastic surgery Fort Myers and the plastic surgery procedures we offer or to schedule a consultation with our Ft. Myers plastic surgeon, contact Dr. Robert V. Mandraccia, M.D. at (239) 443-4633 today. 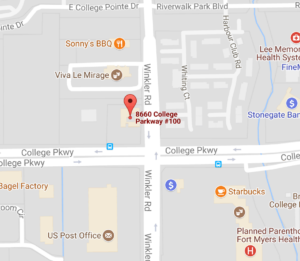 Our Fort Myers office is conveniently located on Route 41 at Seven Lakes Boulevard. We also provide services to patients in Naples, Estero and Bonita Springs.